Guess I’m a little late with this one, but I found it pretty cool anyway. 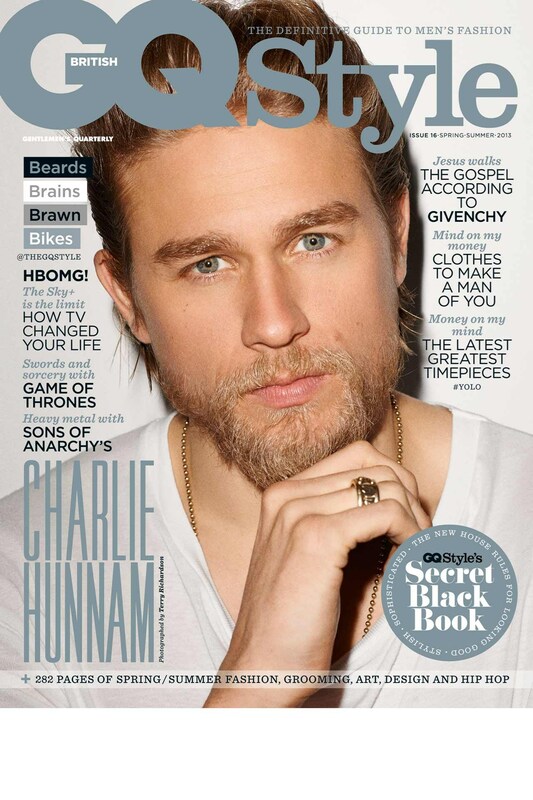 Plus, I know you ladies turn into waterparks once you see Charlie Hunnam. The new issue of bi-annual menswear bible GQ Style is brought to you by the letters “TV”. As the small screen takes aim at the big screen, sit back and enjoy our blistering exposé of the best young men on the box, including Terry Richadson‘s photographs of Sons Of Anarchy‘s Charlie Hunnam, Game Of Thrones’ Kit Harrington and Breaking Bad‘s Aaron Paul. Plus, Kendrick Lamar, Angel Haze and A$AP Rocky on the future of hip-hop.